Chances are you use your electrical appliances regularly, to cook food, to wash the dishes, to do the laundry etc. Machinery has become an integral part of how we conduct our everyday tasks. It only makes sense, then, that we take care of our appliances to ensure they last as long as possible. Unfortunately many don’t, and waste money on repairing them and replacing them. To help you save some hard-earned cash, here are some ways to help extend the life of your most commonly used appliances. Washing machines are an appliance that you want to be run optimally at all times. Failure to do so can result in wet floors and even broken machinery. Luckily, prolonging its lifespan is pretty simple. Switch out the fill hoses every 4 or so years. These wear out over time, and if not kept an eye on they can burst, flooding your home and costing you thousands in repairs. Check the pockets of the clothes you put in the washer. 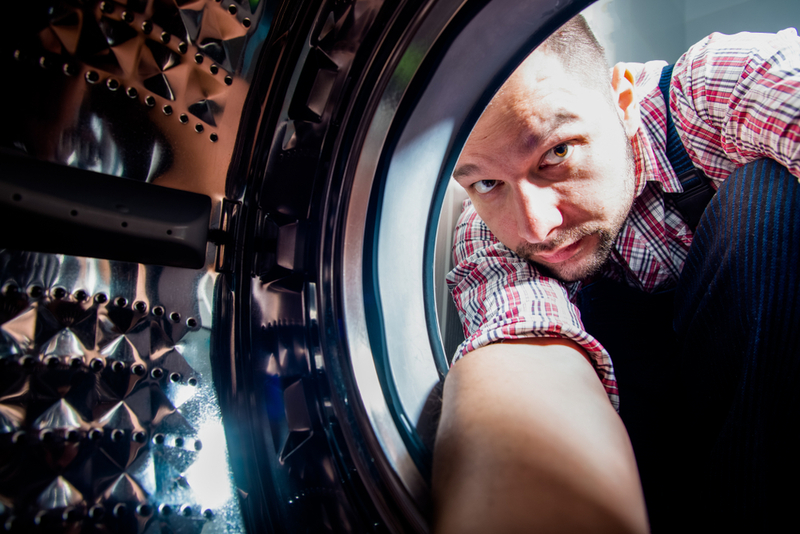 Small solids like coins and keys can damage the drum of the washer, or at least shorten its lifespan. We know procrastinating laundry is tempting, but do not overload your washing machine! Overloaded and even uneven loads can burn through the engine even faster. Dryers can be both a fire-hazard and a money pit in terms of electricity bills if not cared for properly. Make sure to follow these pieces of advice to ensure that you are safe and that you aren’t incurring any unnecessary costs. Clean the lint trap after every single load. Whenever you vacuum your home, make a point of simply using a brush attachment to vacuum out the space where your lint trap goes. Removing the lint from your dryer eliminates a potential fire hazard. Make sure to clean out the lint hoses the same way on a regular basis. How regular depends on your activity. If you have a dog or cat, then it will likely need be more often. Failure to do so will make the engine work harder, and reduce it’s lifespan. Refrigerators are a big consumer of electricity to begin with since they run 24/7, so it’s important to make sure that you aren’t making matters worse by allowing malfunctions to occur. Regularly clean the seal around the door of the refrigerator. Debris and stains from jam, ice cream, rice, sauces etc. all can block the seal to keep the cold air in, wasting money in the process. If you have an older freezer, defrost the freezer. Most newer models do it themselves, but in the case that yours doesn’t, you want to make sure that the layer of ice on the walls doesn’t get thicker than a quarter of an inch. Keep the freezer vents open and clean. Refer to your fridge’s user manual on how to clean the drip pans and openings, replacing water filters and keeping the appropriate temperature settings. Utilizing these tips, you will be able to protect your investment in these appliances, and ensure that they continue to run smoothly in the long run. Should they not, however, we over at Morrill Electric would be happy to help assist you in anyway we can, whether it be with repairs, or with installing a new appliance. Contact us at (978) 388-1522, or submit an online inquiry form. We’d love to work with you!